THE DIRTY ARMY: Nik, Winnipeg police Const. Justin Holz has been charged with impaired driving causing death and failure to remain at the scene after a 23 year old pedestrian was fatally struck by his vehicle last Tuesday. This 34-year-old Holz, who was off duty at the time, was located by police more than seven km away from the scene. Holz was charged, but has been immediately RELEASED from custody, and placed on administrative leave WITH PAY. He deserves to rot in jail along with any cop supporting him. He’s a lowlife killer. This is par for the course when you have the most corrupt police force in the country. 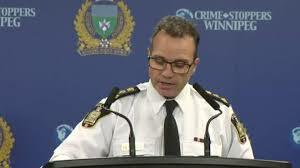 I have had police from other provinces laugh when they hear I am from here because they ALL know how corrupt our men in blue here in Winnipeg are. I personally have had an office by the name of Detective Mirwald (Something like that) falsify evidence and completely fabricate statements and confession. Once the prelim came up his partner told the truth the judge about everything and when Mirwald came in he lied right to the judges face. I have NEVER seen a more pissed of judge in my life, admittedly I haven’t met many. My charges were tossed out immediately and the judge took him aside for a ‘talking too’. the speed limit is actually 50 on that part of main st! all the way up to Inkster I believe! So if you can’t feel sympathy for someone getting smoked by a vehicle driven by a drunken cop, doing 30 above the limit(is what they’re guestimating) then hopefully you get a chance to see if you can jump out of the way of a speeding car some day! Yes what this cop did was sickening and wrong but let’s not forget what our parents have been telling us for ages… LOOK BOTH WAYS BEFORE CROSSING THE STREET! Why the hell would anyone wonder on to main street with zero regard?! No sympathy for either parties. Cop definitely deserves a charge. what is winnipeg coming to ? scary stuff. not to sound like im on the pigs side, but the “residential street” this happened on is called Main St & is a main artery in the city with a speed limit of 60 k/h (kilometers an hr), who can say they ALWAYS do the speed limit, especially at night. also the cop has complied with everything put infront of him. he deserves everything he gets!! Not everyone knows this, but this is almost exactly how John Lennon’s mother died. Off-duty cop, drunk, high speed in a residential area. I think that cop fled the scene as well and I don’t think he was ever convicted. The lack of accountability and transparency, bad decision making, and cover up by management, is not unique to the city police. A lawyer with the city’s legal services, MS. DENISE A. PAMBRUN, recently missed a crucial deadline when handling a big court case, and by doing so cost the taxpayers millions of dollars. However, the city is refusing to disclose this lawyer’s name, refusing to share with us what exactly has happened, and refusing to investigate if it was truly just a human error.